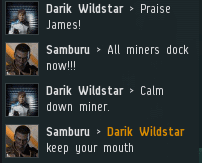 Agent Darik Wildstar was astonished to see a miner and an Anti-Ganker bumping each other for no apparent reason. 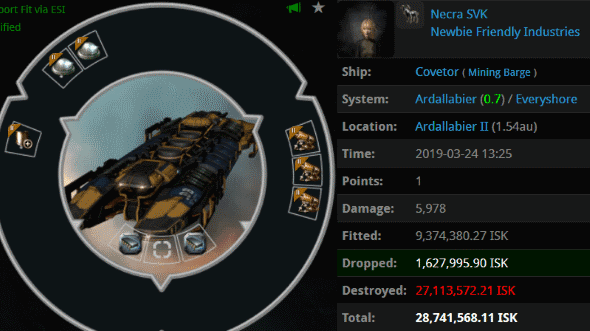 What could cause two Gobloks to put aside their usual isk-grinding to engage in mutual fail-bumps? Agent Darik decided to investigate, so he sent a scout alt into the ice anomaly. The rebels were too busy arguing with each other to notice Darik's scout. 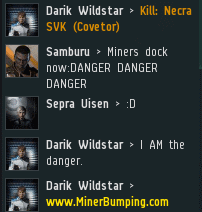 And, of course, the local ice miners were AFK. Samburu was an avowed anti-bumper. Yet there was no denying the fact that he was himself a bumper now. What was going on? 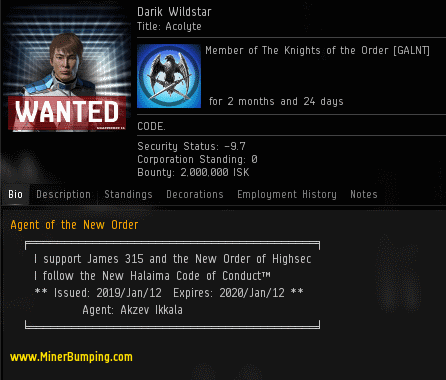 Both rebels were convinced that the other was a griefer. Meanwhile, Darik's scout slowly crept toward a Covetor that was illegally gathering ice. Anti-Code types are known for being dysfunctional. After all, their dysfunctions are the only rational explanation for why they refuse to embrace the rationality of the Code. It's inevitable that the rebels engage in infighting. ...And that presents our Agents with opportunities. Darik's Catalysts landed on the Covetor and ganked it in full view of the rebels. 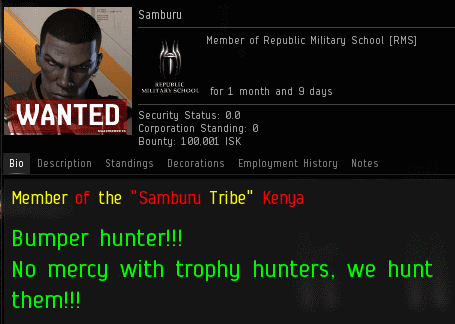 Samburu was furious. He'd failed to protect the miners. When a gank occurs, people often ask, "Where was Anti-Ganking?" In this case, we know. Once again, the disunity of the anti-Code Goofuses led to the victory of the Code. A few days later, our Agent was wrapping up his investigation and asked Samburu to explain the incident from his point of view. Our Catalysts are good at destroying miners--when the miners aren't self-destructing, that is. 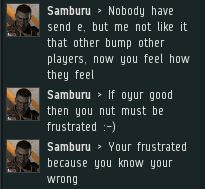 Even the "bumper hunter" can't deny the efficacy of bumping. 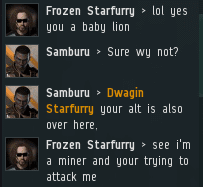 Anti-gankers only half a step above high-sec miners. Some are better than others. Only 1 in 10 will give you a GF afterwards. Pretty salty little shitters. Especially the ones that block you. 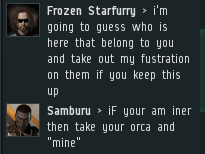 That is some serious salt! you are all sad sad people!